How long will my meeting be active? eClassLive sessions are active as soon as you create them and remain that way until you either close them (through the connect interface) or until you delete them. If a student joins an unclosed session when you are not there, they will see whatever you have left visible in the session. If you would like to prevent participants from accessing a meeting after it has finished, you can close the meeting rather than just exiting and leaving the meeting open. Optionally, you can customize a message to be displayed to participants when the meeting ends or send participants to a URL at the conclusion of the meeting. 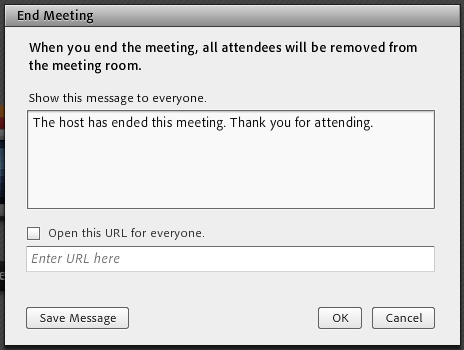 The same message will be displayed to anybody who tries to join the closed meeting. 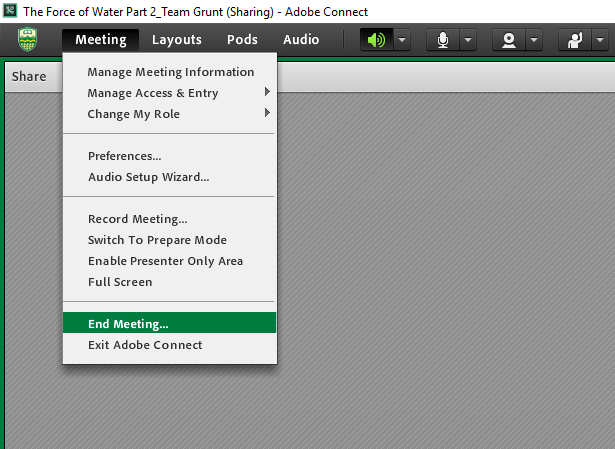 Rejoining the meeting as a host or presenter will automatically re-open it. If you plan to schedule multiple meetings for your course, you may want to review the article on Creating Multiple eClassLive Meetings. N.B. 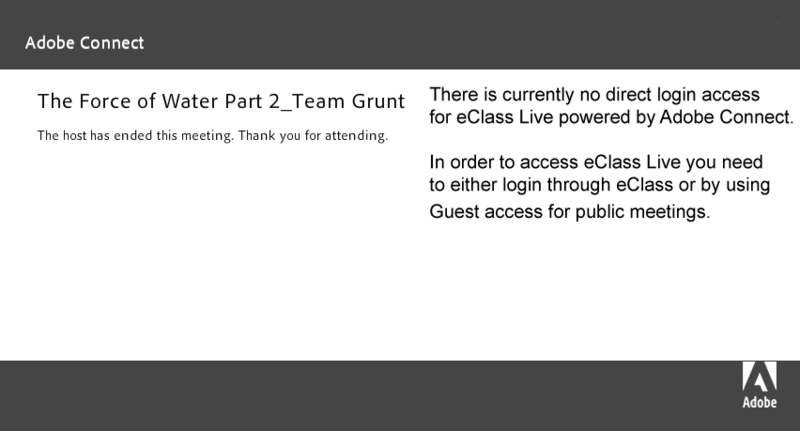 Take care when deleting an eClassLive (Adobe Connect) activity through eClass as this will permanently delete the meeting and all related recordings.